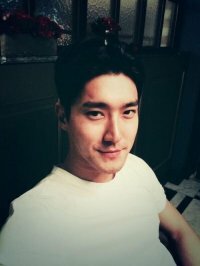 Young Korean actor Choi Si-won has shown his potential to become the next-generation Korean star to lead the Korean Wave, or Korean pop culture craze, in Asia. The actor was welcomed by his fans everywhere he went in China to promote his debut film "Battle of Wits", which was jointly produced by Korea, China and Japan. The promotion was held in four Chinese cities--Beijing on Nov. 16, Shanghai on Nov. 17, Shenzen on Nov. 18 and Hong Kong on Nov. 19 and 20--with director Chi Leung 'Jacob' Cheung and other stars who starred in the movie, including Ahn Sung-ki and Andy Lau, attending. The Chinese press also showed great interest in the new Korean star. The Beijing Daily News reported in its Nov. 17 edition that when Choi appeared at the preview, a crowd of fans cheered and shouted in joy. Hong Kong's Mingpao News on Nov. 20 cited Lau, who praised Choi for his good personality. A source from Huayi Brothers, the Chinese film company which held the promotion, said that Choi is enjoying such great popularity in China. "A large number of his enthusiastic fans attended every event we held", he said. "A Battle of Wits" was first released in China and Hong Kong on Thursday and is scheduled to be released in Korea early next year. "Once In a Summer" is shaping up to be the love story of the year. "I'm just thankful. It's an archetypal answer, but… could I say anything else? I came to the hotel late from drinking in Busan, and my fans were still waiting for me". A person's life story is a good source for a documentary. People have their own pains, happy memories and sorrows, only different by degree. Director Lee Joon-Ik's King and the Clown (Produced by Eagle Pictures ? Cineworld) bagged the Best Picture and Best Screenplay awards at the 2006 Cape Town World Cinema Festival last November 20 in the Republic of South Africa.